Thank you for submitting your item for appraisal. This appears to be a signed print after a painting by Dr. Joseph R. Wilder ( 1920-2003) who was well known for this paintings of athletes. 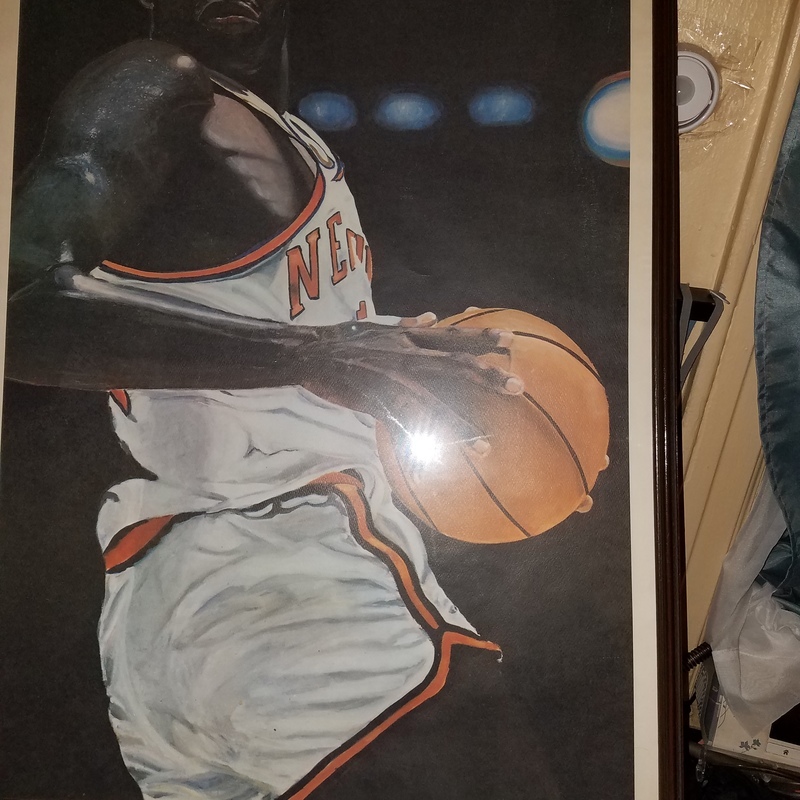 The painting of Willis Reed was shown in an exhibition in the National Gallery in Washington in 1981. The print in your possession is signed lower right "Joe Wilder". Prints and calendars after paintings by the artist were offered and sold at auction. The estimate is based on these results.